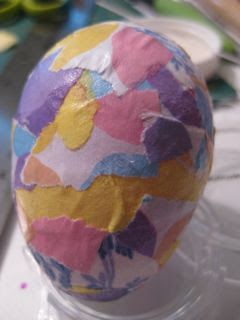 Mega•Crafty: MSCE April : Wednesday-decoupage a plastic egg. 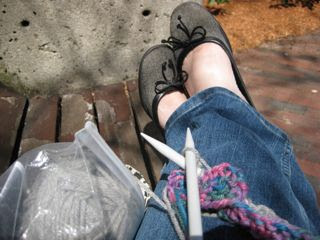 Thursday outdoor knitting and some picture taking. 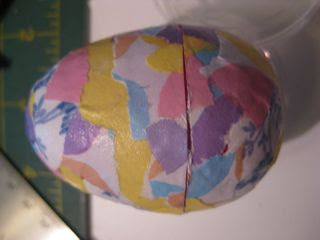 MSCE April : Wednesday-decoupage a plastic egg. Thursday outdoor knitting and some picture taking. 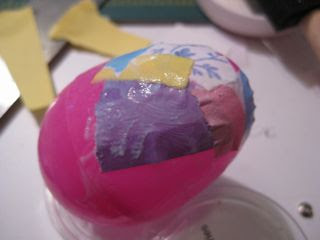 Wednesday: A little decoupage on a plastic egg. 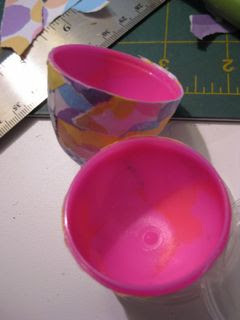 I love to decoupage the real thing but if you use a plastic one you can cut the paper where the egg splits open and put little treats inside. 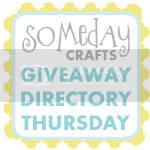 I'll spare you the details on gluing the paper- but can I just take a moment out of the post here to say- Has anyone else noticed that a craft blog can be kinda hard on your camera? 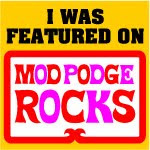 It was really impossible not to get glue all over it while doing this and trying to take pictures. Ta-Da! 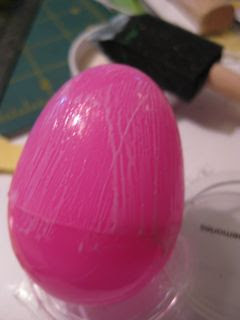 Totally covered plastic egg. I let this dry then went back and used a craft knife to cut it in half. 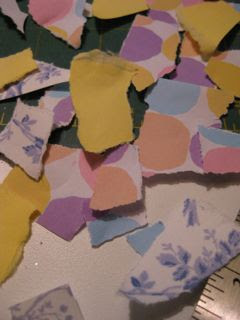 The paper edges might need some cleaning up and a touch of glue after this step but it was mostly o.k. Now I have a cute covered egg to put some treats in! well a last minute rabbit of course! I wanted one to keep for myself so here's the straggler just getting started. Since I'm not really sure I can count a few rows of knitting as my "something creative" for an entire day. 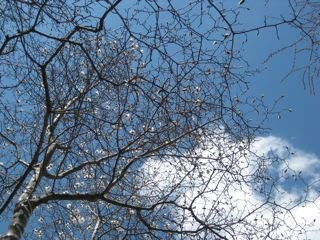 I'll also give you a look at the pictures I took while I was in the park. 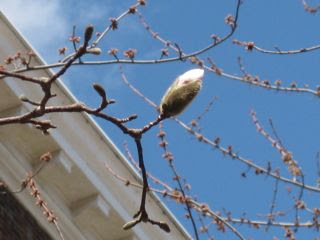 It's been a while since we had a warm sunny day here in the Northeast (there were actually flurries of snow in the air while I walked to work on Wednesday) just when I was beginning to question if Spring would ever really be here we had this gorgeous day. 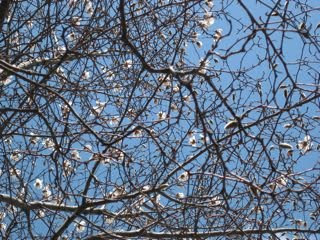 While sitting on a bench, I looked up and saw the first tree I've notice with flowers on it (and believe me I've been checking everywhere for any sign of spring so I was delighted to see this).